The buzzing of printers and students fills the space of Room 212A, contributing to the hustle and bustle of Graphic Arts (Bldg 26). The University Graphic Systems (UGS) team can be found here, providing a variety of print and design services and experimenting with new methods and mediums. UGS is the Graphic Communication Department’s print and design enterprise. UGS consists of 11 student managers, each with specialties in various areas of the industry. Recently, the managers have experimented with new innovations to help evolve the company as consumer culture shifts in new directions. One of the greatest changes has been the recent removal of the department’s printing press, which was a primary resource in terms of services and funds. Now, as commercial print is undergoing a wider digital transformation, UGS is taking a more entrepreneurial approach to graphics, especially with product development. UGS continues to offer high-quality services, such as printing and binding anything from homework to professional documents, as well as designing logos or layouts. 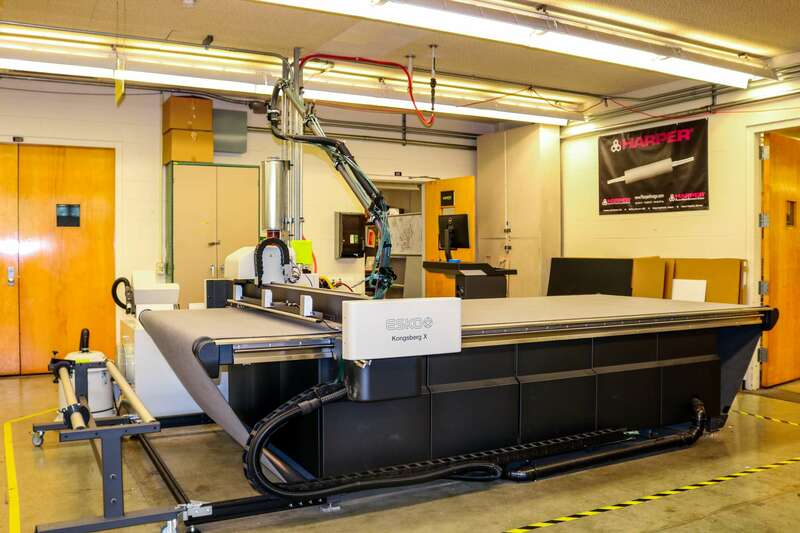 The team has also recently started to use new equipment functions to create specialty products, such as vinyl banners, cardboard cutouts and stickers. “It’s the epitome of this Learn by Doing thing and I think it’s the perfect time to try things out,” graphic communication lecturer and UGS advisor Lyndee Sing Small said. Printing and selling stickers was masterminded by graphic communication junior and Specialty Printing Manager Brienne Hong. During Winter 2018, Hong was responsible for three graphic communication student interns. Since Hong had just learned how to use a UV printer feature to print vinyl stickers, she assigned her interns to create their own stickers. As a result, the UGS Sticker Shop was born and has transformed into a collection of student artwork. Stickers can be viewed on Instagram (@ugs.stickershop) or in the UGS room where they are sold. The team hopes to expand their outreach and receive more email submissions from the Cal Poly community. According to Mojo, one of UGS’ goals for Spring 2018 is to sell more pre-made products, such as planners and t-shirts with student designs. He hopes to engage in more integrated marketing communications and digital packaging to advance in the industry. The UGS team has already begun preparing for next school year, when new managers and a new advisor will take over to continue the UGS legacy, as well as implement their own creative visions.